I've decided to have a little word about how the Builder produces selections and not bets. 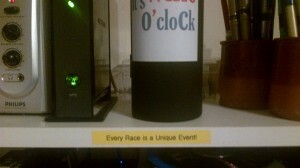 Every Race is a Unique Event! I feel so strongly about this that I've actually printed out a sticker saying just that and have stuck it on my desk! Click on the photo to see it full size. Use the Back button on your browser to return here. I just wanted to make the point that the Builder generates selections rather than bets. Now, I'm sure that you (having had loads more horse racing experience than me) know all that anyway; I just wanted to mention it. I guess that what I'm trying to say is that I'd hate to think of you sending your kids down the pit, selling your house and auctioning off one of your Granny's kidneys just to raise enough money to put it all on a Builder selection. But what happens if that Builder selection loses? She was concerned about a freely available laying System that was in the Systems Page. She said... "Last Friday, this system advised to lay a horse (M O M) in the 4:40 race at Newbury. This horse started the race with a BSP of 104.63. This means, would it have won, that the layer should have paid 103+ times the stake to the backer. You can easily imagine the state of the layer's betting account after such a heavy loss... And the state of the layer themselves!" 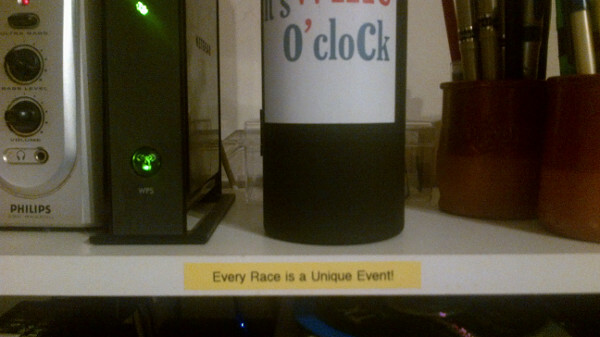 Remember, Every Race is a Unique Event! "Something I learned early on (and I know you already have it on board), is that for any idea to stand a chance, it must have 2 main considerations behind it. 1) It must be logical, and 2) It must take into account that horses are living creatures, with a brain but no voice (as such)!" He also said something else which is specific to Jill and me (and our new gambling adventure) but may well be specific to you as well? 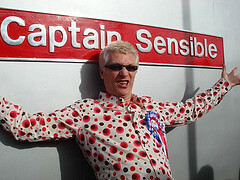 "One final comment for now! I'm sure you have heard it said many times that greed is the evil to be avoided (in all gambling, not just horse racing). It is totally correct. If you and Jill are going to start having a little interest; do yourselves a favor and keep business style accounts of your betting. The online accounts that you use are not good enough; you need to physically keep your own records - ignore people who say it helps you find weak areas in your betting, because it doesn't. What it does is make certain that you are betting correctly and profitably; and you have an advantage there because there are 2 of you to keep an eye on each other and make sure rules are followed." So, probably the only sensible thing that I'll say today (or for the rest of the week) is that any system you use (whether it comes from the Builder or elsewhere) only gives selections - it's down to you (with your knowledge and experience) to turn those selections into bets. One of my members (Ray from Ireland) sent that to me the other day as a present. "Due to the fact that I have earned a lot of money from your ratings over the past while, I wont tell you exactly but it is in the thousands, obviously I have a lot of respect for you and your work you do...so keep it up. 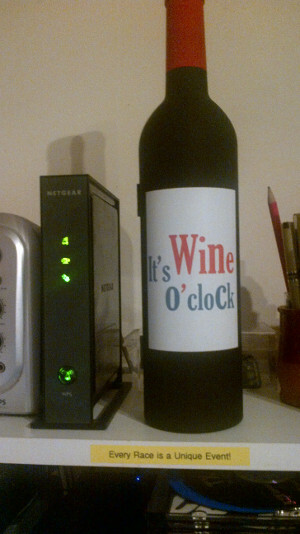 The other day I was in the shops and I saw a present that I know you would like.....I'm not telling you what it is but it's to do with Wine o' clock. So I bought it and want to sent it to you." Handily, the bottle opens up to reveal a full sommelier's kit! 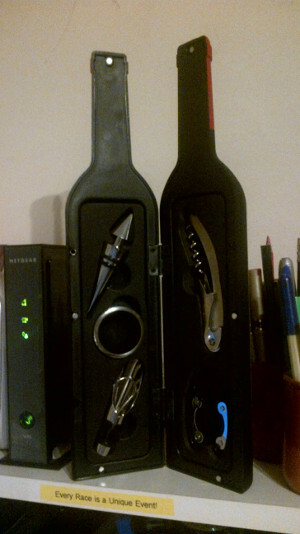 Which is a useful thing to have on any desk?